with extraordinary values on quality flooring products! Aladdin Carpet a division within the Mohawk Family of brands has always had a reputation as a great producer of Berber Loop styles. Today the collection of styles under the Aladdin brand name represents a commitment to value and function. Products in these categories are suitable for active lifestyles. Aladdin Commercial is much more than a collection of flooring products. We have come a long way from the time when making a carpet was so laborious, that church bells rang upon the completion of a hand-made carpet. Today, our annual production amounts to approximately one million square yards of top quality carpeting in a range of designs and colours suitable for all locations. Benissimo™ Systems LLC was formed to provide innovative surface solutions to the building industry. The first product is the international patent pending Granite Solutions™. Bigelow offers an unparalleled legacy built on a tradition of carpet manufacturing excellence that dates back to 1825. Before there was Bliss carpet most manufacturers never considered women’s needs. When Beaulieu set out to create it, hundreds of female shoppers across America were interviewed in-depth to learn what they liked and didn’t like about shopping for floor covering. Why? Because they make over 90% of the purchase decisions for the home. Beaulieu tested new displays and simplified the shopping process using hidden cameras in actual retail environments. The result is truly their brand. Welcome to Brintons carpets, We manufacture high quality residential and commercial carpet. Since 1988 Caesar has been synonymous with top quality porcelain stoneware, the perfect union between technology performance, functionality and aesthetics. High quality residential carpeting manufactured in California since 1973. Carole Fabrics has been proudly serving the interior design community for more than fifty years. We are a new company specializing in solid oak flooring. It is our goal to provide you with the best possible product, distinguished by tight milling and grading standards. You are invited to explore the world of Century Flooring through your own computer, in the comfort of your home or office. Whether you need products for tile and stone installation, floor preparation, tile and stone care or homeowner patching and repair, Custom Building Products has you covered. Mohawk carpet is designed to fit virtually every purpose, decorating style. Daltile offers porcelain, ceramic and natural stone tiles and slabs including medallions glass and metal tiles. From innovative faucet designs and cutting-edge Safety Features to Brilliance®, the lifetime anti-tarnish finish, Delta® continues to lead the way in the faucet industry. With Delta, you'll discover a commitment to Quality that extends through the entire product line … and a Lifetime Faucet and Finish Limited Warranty to back it up. Warm Tiles has been designed to gently warm flooring materials such as marble, ceramic and porcelain tile, slate, granite and poured or dimensional stone, greatly enhancing your comfort level. Luxurious Evans Black® carpet combines performance you can count on with elegant styling. Green Mountain Hardwood Flooring is a uniquely American flooring company offering first quality North American hardwoods with a phenomenal performance guarantee. Since 1901 the Hansgrohe name has been synonymous worldwide with excellence in the shower, kitchen and bath. We've been weaving wool carpets for over 20 years. Wool has always been our fiber of choice because it boasts extraordinary natural advantages that cannot be found in any other fiber. Hibernia Woolen Mills, where traditional styling, a dedication to quality, and outstanding customer service all combine to define us as a premier supplier of superior wool carpets for high end designers and consumers. Glazed porcelain designed for residential or commercial projects with an interior or exterior application that offers various colors, sizes, textures, and trims. For the past 30 years, the Iris group has been guaranteeing the characteristics of its glazed products. Founded in 2004 by Jack Mishkin, jmish is an American carpet manufacturer specializing in high quality residential floor coverings. The imaginativeness and exclusiveness of the Jasba mosaic and tile collection are due to our creative designers who are guided by inspiration from all over the world. Browse through our collection of styles and get to know the new Karastan Contract. Experience the sophisticated designs, richly textured patterns, and beautiful colors of our woven carpets. From executive boardrooms to premier retail environments, Karastan Contract styles will add character to any setting. Click on any of the style names below for a better view of our carpets, and use your imagination to picture one in the space you are designing. Kasmir Fabrics analyzes the market constantly. By staying abreast of current consumer tastes, as well as future trends, we are able to provide fabrics and custom made products that are on the cutting edge of home fashions. Combine fashion and mid-range price points with in-depth color lines, and you have the winning combination that separates Kasmir from other fabric companies. Kirsch defines elegance, pays close attention to detail and is a dominant force in innovation. Lafayette Venetian Blind was established in 1950. The essence of Max Windsor Floors is where nature meets innovation resulting in the timeless masterpiece of Rustic, Royalty, and Romance in Classic natural hardwood floors. Clean and classic or bold and contemporary. Whatever look you're after, Moen offers a variety of styles designed to complement today's decors. Multiply Underlayment - Hardwood plywood underlayment from Weyerhaeuser provides a thick, durable surface for vinyl, ceramic and laminate floors. Its solid-face veneer resists punctures, permitting sanding of seams. Panels come in convenient 4x4 squares for easy handling and dimensional stability. Escape from the ordinary and discover Nanik premium wood blinds for the ultimate in sophistication. World's most innovative tool designer and manufacturer. Whether it's a simple tool or a major labor saving device, NATIONAL is in the business of solving problems, from heavy material handling to fine precision carving, beveling and everything in between. This centuries-old product combines elegance, versatility, form and function. 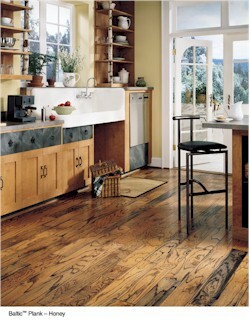 And, Natural Bamboo is now offered as the perfect flooring solution for you. Inspired by the 19th century Arts & Crafts movement, Navarre marries the craftsmanship of Olde World artisans and 21st century manufacturing technologies to create heirloom quality oak hardwood flooring. The 2-part system that continuously and permanently removes odors and stains from carpet and cushion.The 2-part system that continuously and permanently removes odors and stains from carpet and cushion. Enjoy all of the comfort, all of the performance and now, all of the protection! Philly Queen Commercial is a leading manufacturer of commercial carpet, commercial hardwood, and commercial hard surfaces. The company was founded in late 2006 to complete a management buy-out of the residential division of Junckers USA. At Royalty, we care about the environment and take great strides to be an environmentally conscientious manufacturer. STONEXPRESS offers a wide variety of stone - Travertine, Slate, Marble, Limestone - and stone finishes - honed, polished, tumbled, mosaic - for all types of interior decoration and exterior, all floors and walls. TOTO is the largest toilet manufacturer in the world. Our success demands an ongoing pursuit of perfection. It's a pursuit that pushes us beyond industry standards. A pursuit that drives us to become the one of the most decorated toilet manufacturers in the world. It is quite simply, the passionate pursuit of perfection. Warm to the touch, with designs and textures unavailable in other luxury materials, Wilsonart HD is a welcome alternative; there is simply no other surface like it. We manufacture the finest wool carpet and rugs in the world today. Style and fashion are second only to quality. World Carpets by Mohawk offers products featuring branded yarns not usually found in a value-oriented line. This collection of products covers a wide range of price points and colorations with an emphasis on fashion and functionality. Today the WundaWeve by Mohawk carpet & rug collection represents the premium in styling and product innovation. Known for its distinctive styling, WundaWeve occupies an important niche in the upper end of the residential market.